Finding life insurance after surviving Cancer can be frustrating and can easily make you want to give up on the search. Since 1969 we have been helping cancer survivors find the best and most affordable cancer life insurance rates and products available. Today I will go over how the process works for obtaining life insurance for cancer patients that have survived and how you can obtain the best rates. It might be hard to grasp your mind around how much cancer affects America and the people around us in general. But, according to the American Cancer Society, 40+ percent of all men and women will receive a cancer diagnosis within our lifetimes. 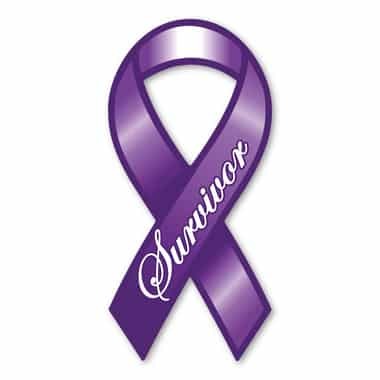 They also state that 66.1% of people who are diagnosed will survive. I must say that the fact that there is above a 50% survival rate on average makes me happy. If you have found it hard to find life insurance after surviving cancer, we are here to help. We can beat any offer you've been given by any agent, broker or website because of our unique process and because we can easily shop your medical records to underwriters at every insurance company. Our service is free and we have access to more life insurance companies than any life insurance agencies, brokers or websites. If you are currently being treated for any type of cancer you will usually only be able to qualify for guaranteed issue life insurance. This product goes by many names, Final Expense, Burial Insurance, Graded Death Benefit, Guaranteed Acceptance Life Insurance or Modified Life Insurance. You are probably going to only be able to get traditional life insurance around 1 to 2 years after treatment has ended. Depending on your type of cancer it can be longer but while in treatment, this type of life insurance will be your only option. If you have had a past cancer of any kind, Standard or Regular rates are usually going to be the best case rates for which you’ll be approved for. For some types of cancer, like lung or pancreatic cancer, you may not be able to qualify at all or you may be charged an extra premium for a certain number of years after treatment has ended. This is called a "flat extra" premium and it could be added to your policy for any number of years, like 1 year, 5 years, 10 years, etc. The cost of the flat extra will be determined based on the type and stage of your cancer, how long it's been since treatment has ended and you've been in remission. After the flat extra period is over, the rate you pay will be reduced. Getting any preferred life insurance rate after having cancer is rare, but is possible, especially if you've been in remission for more than 10 years! All cancer cases do need to be "shopped" thoroughly since underwriting guidelines can and do change. In other words, the companies that were most aggressive for certain types of cancer 6 months ago, may no longer be now. Honestly, there are too many variables involved to state which specific company or companies may be best for you. However, there are some insurance companies that only (currently) question whether or not you have been treated for cancer over the previous 10 years. If you've been in remission for more than 10 years, then one of these companies may be your best option to qualify for a preferred plus or preferred rate. The medical questions can also change at anytime and can vary depending on your State of residence. Your Type Of Cancer And The Date You Were Diagnosed? If you’ve had Prostate Cancer or Breast Cancer and you need life insurance, you may be insurable right after treatment has ended. You could also be insurable in the first 6 to 12 months after treatment for low stage cancers. Leukemia, Cancer of Lymph Nodes and higher stage cancers can cause you to be postponed or declined for 5 to 10 years and sometimes longer since treatment has ended. What Was The Stage And/Or Grade Of Your Cancer? With a copy of your pathology report and answers to a few questions, we can give you estimates on what insurance may cost for you based on your cancer history. At the very least, we will need to know the exact stage of your cancer including the T, N, M categories to get any accurate insurance estimates. The last day of treatment for cancer is when the waiting period for life insurance starts. So if you’ve had surgical removal of any cancer and chemo and radiation, just remember that the last day of all cancer treatments is what life insurance companies are interested in. We’ve had some cases where people qualified for insurance only 6 months or sooner after treatment has ended, like for small In Situ Melanomas, but these are the exceptions. If you have had any cancer and you want life insurance, you must have had regular check ups following your cancer that have all been completely normal to qualify for coverage. Any abnormalities will most likely cause you to be postponed or declined. The lower the stage and the longer it's been since your treatment ended, the better the offers can be. Call us at 1-800-380-3533, email us or just request a quote using the accurate cancer life quote link directly above and we’ll do our best to get you the best life insurance rate possible with regard to your specific cancer history. Using the the accurate quote link above is the best place to start to get an accurate quote. Using the instant quoting tool on the right hand side of this page, you can see instant quotes from some of the insurance companies we can offer you. ​Recent Stage 2 Prostate Cancer Qualifies Standard Rate!!! I Was Declined for Life Insurance, Now What?